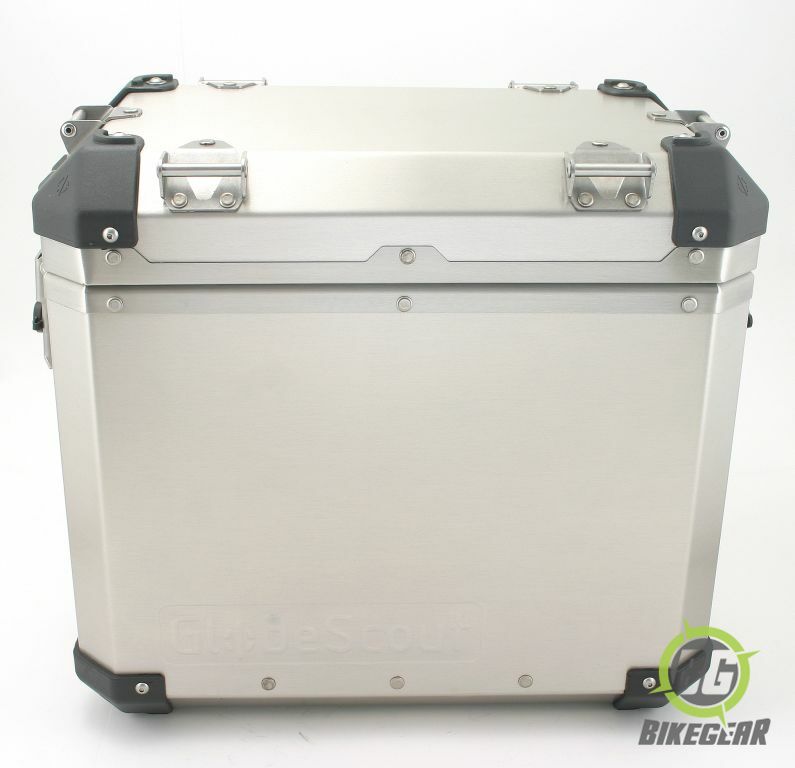 Pannier Side Case Set by Globescout represents arguably the strongest pannier set you can buy and comes with everything needed to mount them to your bike. 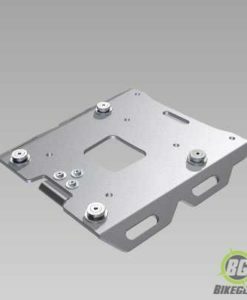 All hardware e.g. 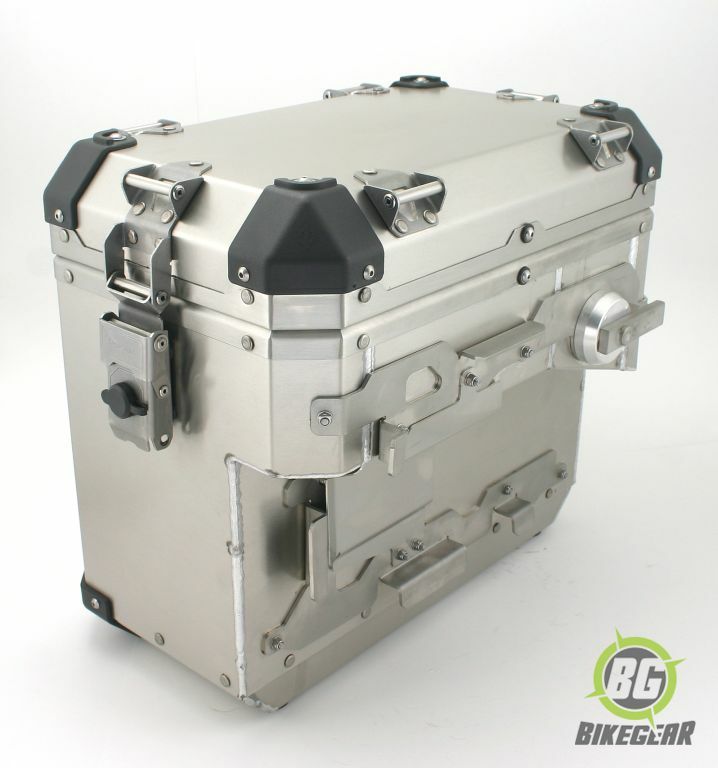 locks, top box support, pannier frames and brackets are made from stainless steel while the units themselves are manufactured exclusively from aluminium magnesium alloy, the same material used in the hull structure of light weight ships. 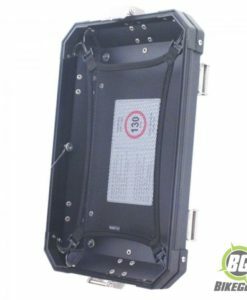 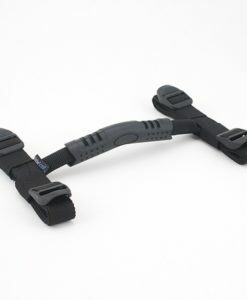 There is no plastic in any of the mounting hardware. 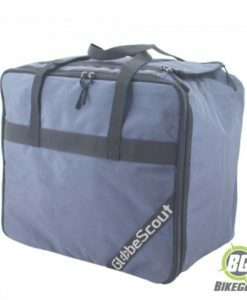 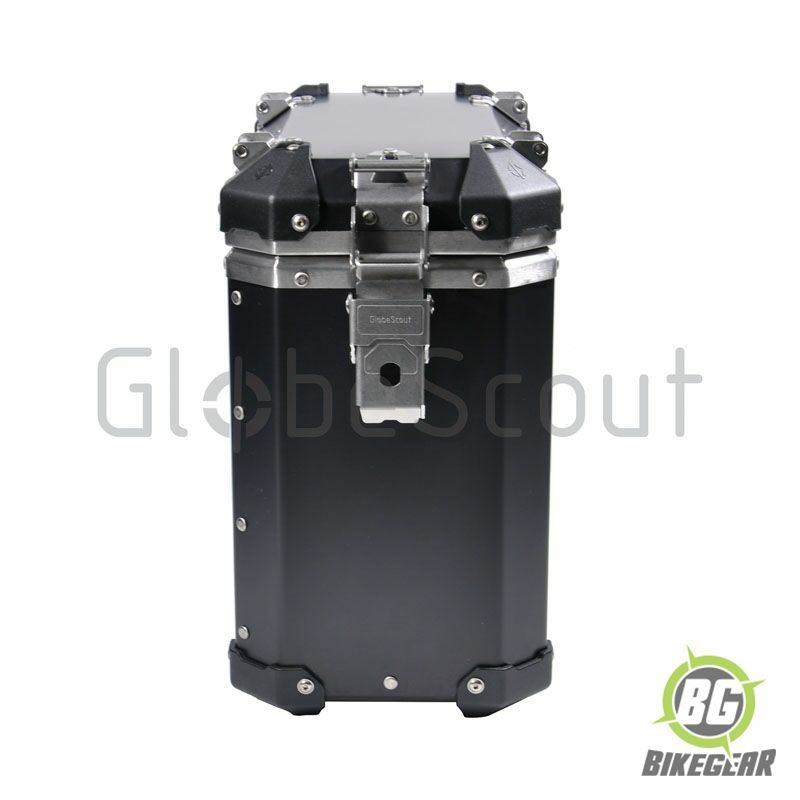 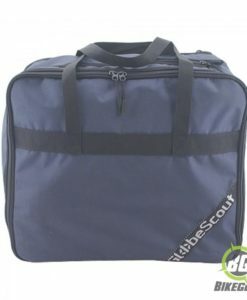 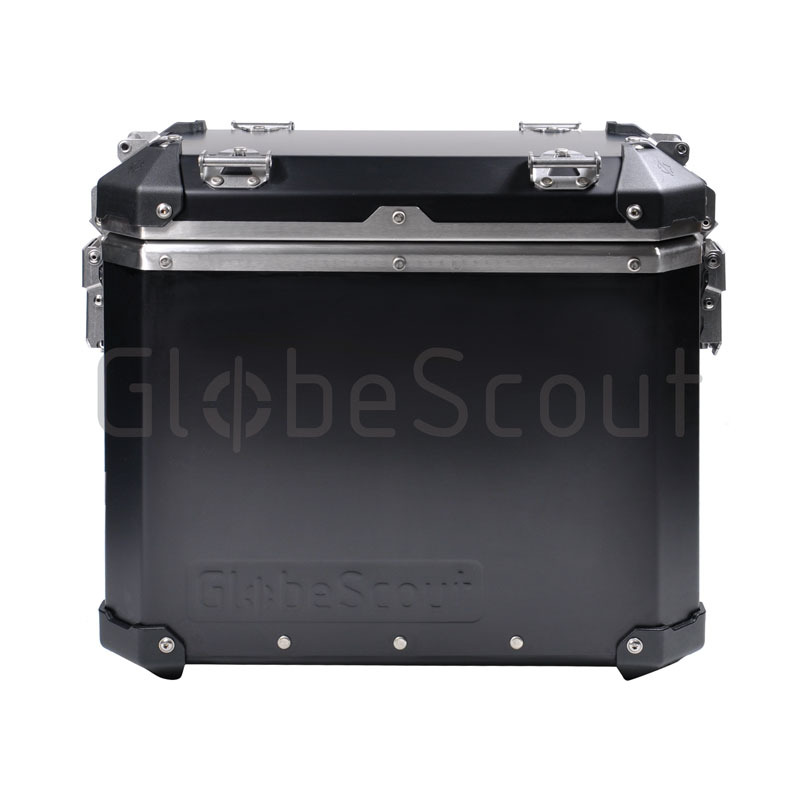 The Globescout Pannier Side Case Kit for the GS Adventure does not include the framing as the panniers fit directly on to the original BMW racks. 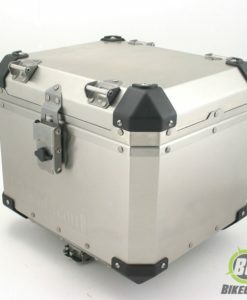 High grade stainless steel material for all the hardware (locks, screws, rivets, etc.). 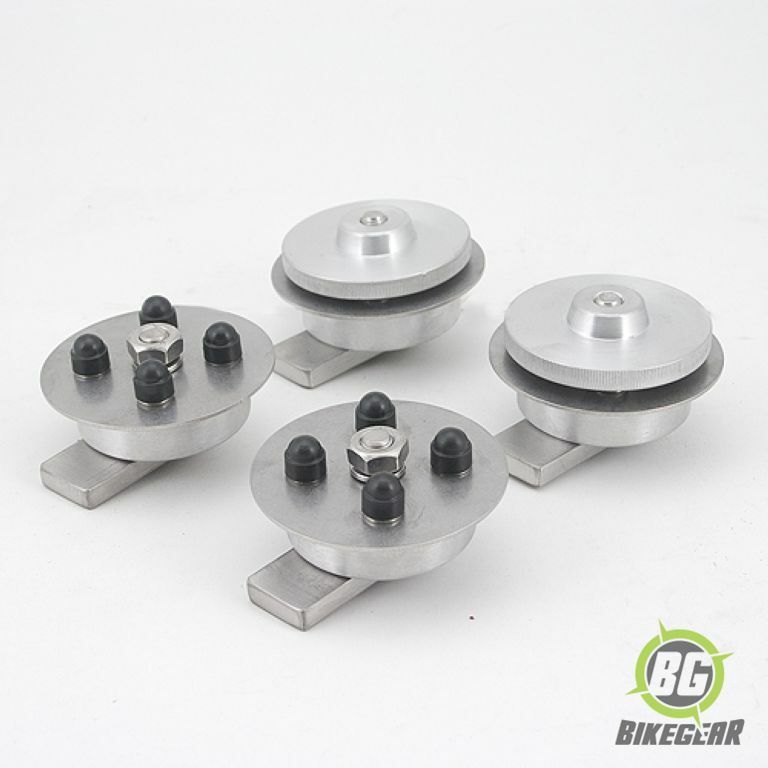 User replaceable polyamid corner protectors. 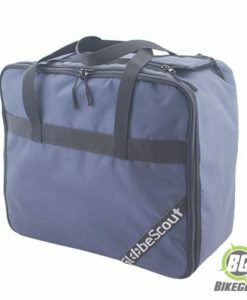 Dimensions : 44 x 22 x 39 cm (w x d x h) + 44 x 28 x 39 cm (w x d x h). 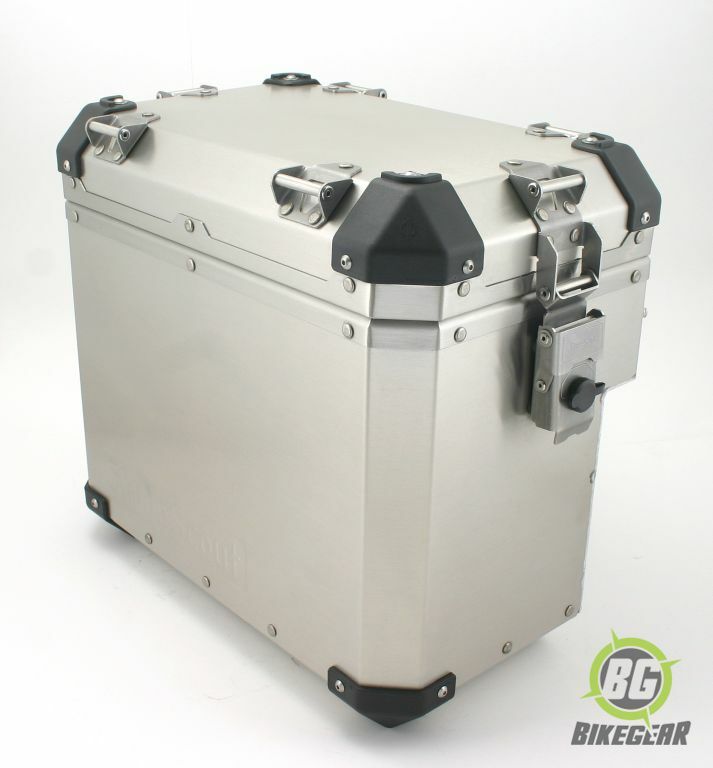 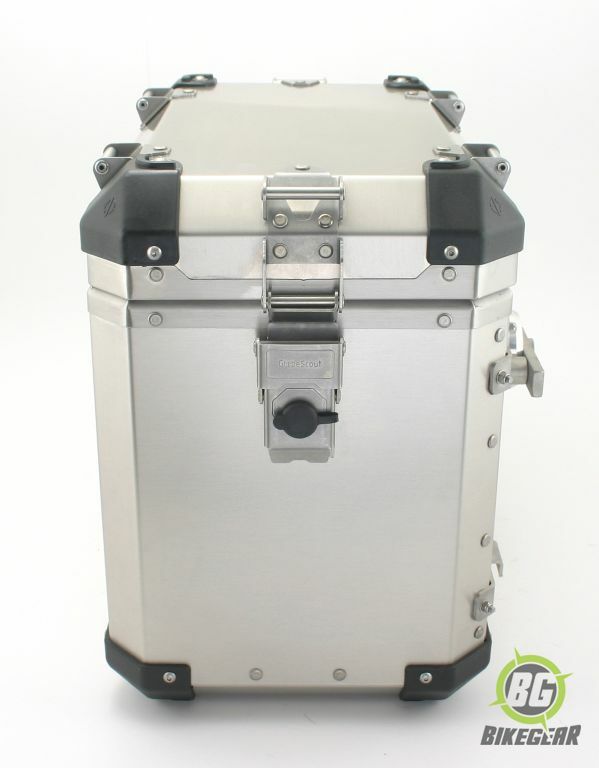 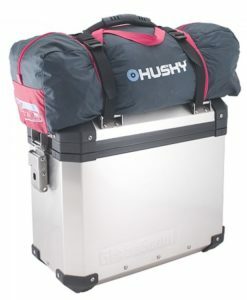 Volume : 1 x 35 L + 1 x 45 L.
Side Case panniers 35 L and 45 L (Silver or Black, please choose in the drop down).